“The Waggoner’s Lad,” with overlaid banjo and guitar starts Jack Orion on a high note, and the album pretty much never lets up. 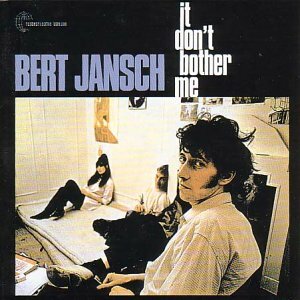 The album as a whole returns to the emphasis on displays of instrumental virtuosity of Bert Jansch. There was scarcely a better European guitarist in the 1960s than Jansch. He and Davy Graham were, in many ways, the European counterparts to American Primitive guitarists like John Fahey, just a wee bit more extroverted. Probably my favorite Jansch album. 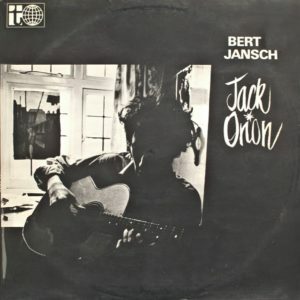 People tend to like this much less than the Jansch albums that bookend it (Bert Jansch and Jack Orion). While it certainly scales back the displays of virtuoso fingerpicking from his eponymous debut, the casually evoked moods here seem of the times in a way that neither the album immediately before nor after this did. It is more earthly and transparent. And it leans toward wistful and somber reflections on the new possibilities of 1960s counterculture. This is close to John Fahey of the era, but with vocals that add a new dimension. I for one think this is another great one — up there with Jansch’s very best. 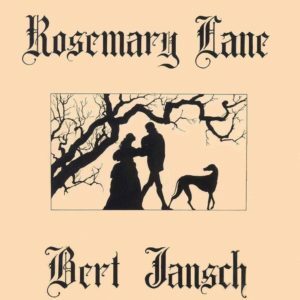 A mellower side of Bert Jansch. This one feels a lot more classically “English” than his great early records. As usual, the guitar playing is tremendous. There’s no doubt after just the opener “Tell Me What Is True Love?” where Nick Drake got much of his inspiration for the following year’s Pink Moon.